As an actuary, your work revolves heavily around the prediction, evaluation, and management of risks using a combination of statistical/mathematical models and commercial awareness. You may also be invited to advise clients about your findings as well as help them develop potential solutions. For this reason, your job scope can be very diverse, encompassing a good mix of client-facing and calculation tasks. Among some of the key day-to-day responsibilities as an actuary include analysing statistical data, preparing reports and presentations, as well as working with IT professionals to develop and update systems to incorporate solutions to the risks. In some cases, you may even be assigned to develop an entirely new financial product. You are generally required to possess sufficiently high grades in an actuarial science degree; however, some employers do accept graduates with a background in other numerate degrees, such as statistics, economics, finance, or mathematics, provided you showcase a strong understanding of the financial industry. Having a degree in actuarial science may also exempt you from some of the professional qualification exams that you need to take to become a certified actuary. Graduate employees typically start their career as a trainee, assisting senior colleagues in their duties as they train and pick up the necessary skills required to advance in this career path. You’ll spend a big portion of your time handling calculations and using pre-constructed models to generate financial forecasts. As you gain more experience, you will be given greater responsibilities such as leading projects, constructing, updating and analysing financial and forecasting models, and handling client relationships. Most employers encourage you to begin studying for a professional qualification/fellowship as soon as you get on board, which often translates to a challenging time balancing between work and study. However, most organisations are very supportive of their staff members who are pursuing a fellowship, offering financial assistance and ample study leaves to lighten their struggles. Upon gaining their certification, most actuaries tend to specialise in a specific area of interest, gaining in-depth knowledge, experience, and reputation as an expert in that particular field. That said, there are many actuaries who have found opportunities in other seemingly unrelated areas of management as well. For instance, actuaries have been known to venture into infrastructure and climate change projects, as well as the healthcare and data science industry. Aside from possessing a high level of numeracy, you need to be good at problem solving, research, and analysis. Good interpersonal, communication, and presentation skills are also important as your job scope includes presenting data/solutions to your clients, most of whom possess minimal understanding of actuarial science. 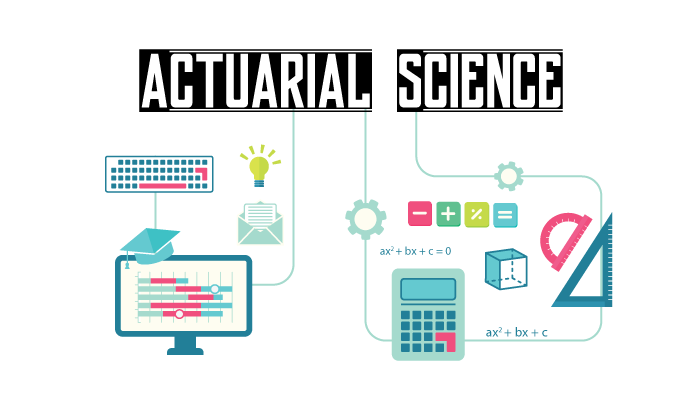 Actuaries should also be flexible, adaptable, and able to handle ambiguity as the job scope can be very diverse, with ad-hoc tasks and projects interrupting your day regularly. Accountability is equally important as it’s crucial that you diligently follow up on your clients throughout the process of implementing a solution. As an actuary, you’ll be involved in a variety of tasks and industries, making your job an extremely interesting and challenging one. This is made even more exciting by the rapid development of the financial industry by IT and technology, leading to new risks and the need for creative solutions. Actuaries also enjoy steady career advancements and attractive remunerations, especially upon obtaining a fellowship from a recognised actuarial association. That said, the workload may get stressful and lead to extra hours – especially when you’re in the process of pursuing a fellowship.